Megatrends was followed by international bestsellers Re-inventing the Corporation in 1985, Megatrends 2000 in 1990, Global Paradox 1992, Megatrends Asia 1995, High Tech High Touch, 1999 and MindSet! in 2006. John Naisbitt holds 21 honorary doctor degrees and professorships of American, Chinese and Russian Universities and of South Korea’s Pukyong National University. In his early career John Naisbitt was an executive at Kodak and IBM. Age 34 John Naisbitt was appointed assistant secretary of education to President John Kennedy. After the president’s assassination he was special assistant to President Lyndon Johnson. Urged by the social and racial turbulences in America’s cities John Naisbitt began analysis social economic and political developments in the US, which led to publishing Megatrends in 1982. 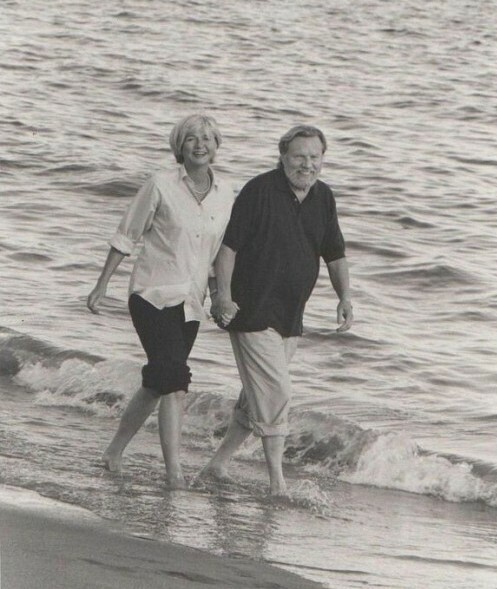 After working together as publisher and author from 1995 to 2000, John Naisbitt and Doris Naisbitt, his former German language publisher, married in 2000 and began their collaboration as co-authors. They speak to audiences inAsia, Latin America, Africa, Europe and the US and have appeared on many television programs, written for first-tier publications, and addressed numerous government and policymaking institutions. Doris Naisbitt is an observer of global social, economic and political trends. She is Director of the Naisbitt China Institute, author and co-author of bestselling books, and columnist in German, Chinese and Nepalese media. Doris Naisbitt holds professorships at prestigious Nankai and Jilin University, Beijing Foreign Studies University, Yunnan University and Skolkovo Open University Moscow as well as a honorary Doctor of South Korea’s Pukyong National University. She is also a member of IWF, International Women’s Forum. Doris Naisbitt has a distinguished career in publishing, serving as head of the Austrian publishing houses Austria Press and Signum Verlag. During her tenure she established Signum as a player in the broader German Language market. Among Ms. Naisbitt´s international renowned authors was John Naisbitt. His book Megatrends Asia, published 1995, became a bestseller in Austria, Germany and Switzerland. Doris and John Naisbitt were married in 2000. They are working in close collaboration in public lecturing and translating books, among them works for the German publishing houses Hanser, Bertelsmann and Frankfurter Allgemeine Buchverlag. Since the couple became co-authors in 2006, they speak to audiences inAsia, Latin America, Africa, Europe and the US and have appeared on many television programs, written for first-tier publications, and addressed numerous government and policymaking institutions. Ms. Naisbitt was also working in the production of television documentary for Walter Davy. She studied theatre in Vienna under the tutelage of Susi Nicoletti and Paula Wessely, two of Austria’s most famous actresses. Doris and John Naisbitt live in Vienna, Austria and China.